Ever felt like you don’t know what’s happening on the ground? Sometimes with too many colors and almost invisible images? The observations are often ad hoc not fully relevant and often there is a mismatch in time. 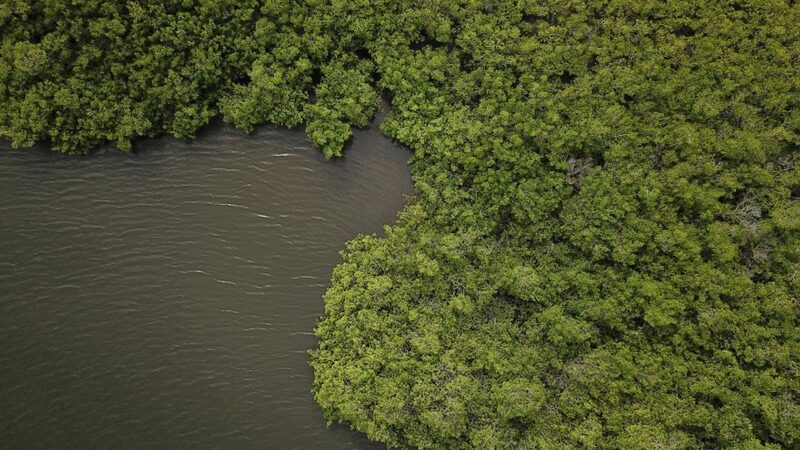 Take for example using a satellite can be difficult to know what is in the forest cover or what mangrove species. This is, however, changing as one can now use drones to monitor and evaluate mangroves? 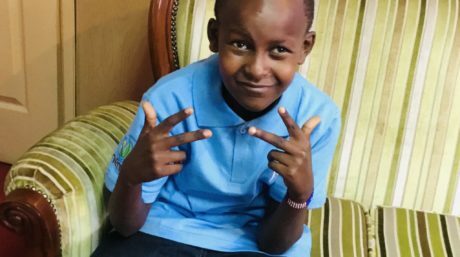 Within Mangrove Capital Africa programme, Mangrove Watch Africa seeks to increase the capacity to utilize earth observation data to support stakeholders while at the same time raising awareness on the urgent wise use of mangroves. 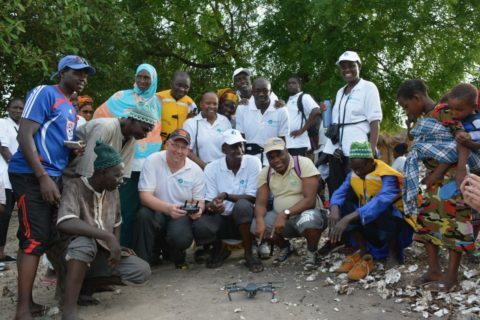 To enhance the capacity of programme team Mangrove Watch Africa spent the past week training the teams from Rufiji Delta, Tanzania and Saloum Deltas Senegal on how to fly and use drone applications to monitor and collect field data. This will further the collection of field data, increasing the spatial coverage and data access while helping to standardise the data collected between field teams. The teams experienced first-hand training as the remote sensing specialists worked closely with the mangrove specialists on the ground. Earlier in the day the teams made way to the field, ready with their gadgets to fly the drone over the remote areas of mangrove, the wind is calm perfect for flying the drone. The team take the boat to an area close enough to a mangrove restoration site that will be monitored over several years. On the way there they admire the stunning biodiversity in the Saloum Delta, encountering species like the Goliath heron, African Darter, and many kingfishers. Even a manatee is spotted. Within an hour after arrival three drone surveys have been completed, plenty of ground data has been collected and the team return to base. 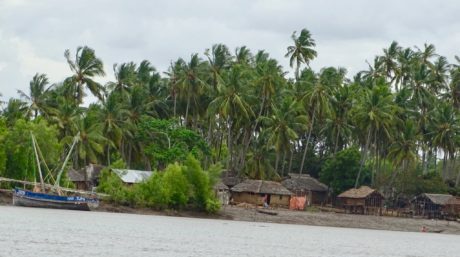 The use of this application can help you show: mangrove change; marine oil concessions ie in Senegal; rice fields in mangrove forests; aboveground biomass; below ground carbon; canopy height and mangrove stand age ie in Rufiji; Hotspots for conservation; Mangrove monitoring system; and Online mangrove atlas. Mangrove Capital Africa is working in the Rufiji, Tanzania and Saloum delta Senegal where economic activities are affecting the ecological functioning and biodiversity integrity of the forests threating the mangrove ecosystem and resources. Interpreting of these activities is key in the Mangrove Capital Africa programme implementation and as such Mangrove Watch Africa will contribute in building a strong knowledge base that will influence policy makers; For example, in Rufiji, the maps will be used in the future to inform on the mangrove extent and changes within the delta that will inform the development of the forest management plan for the Rufiji Delta. Additionally, they will use the Mangrove Watch Africa monitoring maps to identify where illegal logging activities are taking place. Which will support the local authorities who have limited resources to find illegal loggers, and get locations of possible threats from the monitoring system making them more effective. Since the monitoring maps are based on radar, they can even find threats on cloudy days! While in the Saloum Delta, the field team use the maps showing mangrove cover change to identify where mangroves can be restored. 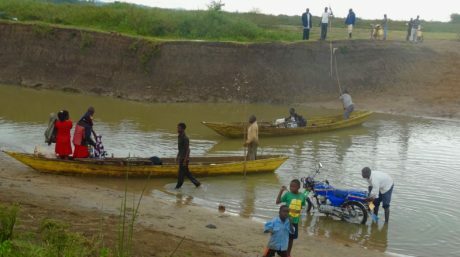 The restored mangroves have a much greater potential value for the local population in the Saloum than the degraded areas that are there now. We are working together with various Global Mangrove Alliance partners. 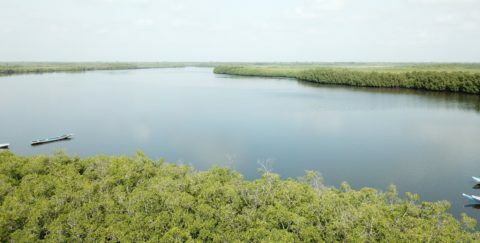 For example, the time series of global mangrove extent are used as a basis for a ‘restoration potential map, that is currently being developed by amongst others our Global Mangrove Alliance partner, The Nature Conservancy, and Cambridge University. 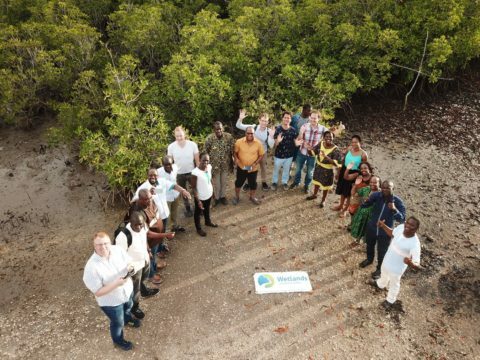 The Mangrove Capital Africa programme which is a 10 year programme led by wetlands international and funded by DOB ecology will be upscaled soon, and we will ultimately work in ten countries in Africa to safeguard and restore mangroves. The maps developed by Mangrove Watch Africa is now, and will be in the coming years, an invaluable source of information for the mangrove conservation and restoration work and serves as a clear demonstration of how technology can bring productivity in our work. This training was supported by Wetlands International in collaboration with ACSEM and Aberystwyth university.